Some great devices hit the stands in the last one year. Here, we recommend the best of them. One-upmanship is on full display. The relentless efforts of device makers to beat the competition through innovation or plain filching (often leading to patent issues) have only helped consumers. Some great devices hit the stands in the last one year. Here, we recommend the best of them. Smartphone makers now launch even more than one flagship smartphone a year. 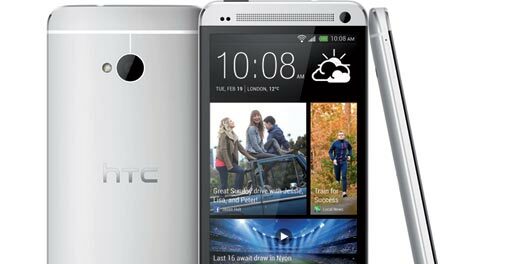 The one that caught our fancy this year was HTC One with its beautiful design plus great performance and impressive camera. 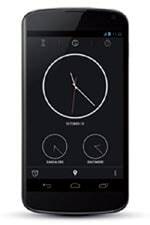 It took on the Samsung Galaxy S4 and for us is the winner on every parameter. Gone are the days when we had a category of devices called camera phones. Today, every mobile phone has a decent camera. 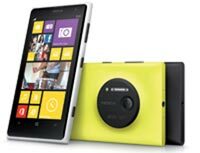 But the one with the best camera that was launched this year, in our view, is the Nokia Lumia 1020 with its 41MP camera. Images captured by it are far better than on any other device. It also offers manual settings one can play around with. 2013 was full of smartphones boasting 5 inch + display. While there were a few impressive phablets such as the Sony Xperia Z Ultra, LG G2 and a few others, Samsung is the best in the segment with its Note 3. It has increased the display to 5.7 inches but maintained the same width and weight. 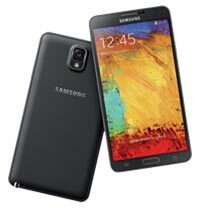 Samsung has further enhanced the use of its stylus, making it a complete winner. Google's phone brought into the country by LG is priced at Rs 25,999, making it the best smartphone in this price category. Featuring a 4.7 inch display with a quadcore processor, it comes with an assurance of getting the latest Android updates as soon as they are released. No need to depend on LG for the software update. The 8 MP camera and vanilla Android OS too work in favour of this smartphone. All-in-ones are the future of desktop computing. And no company seems to have realised this better then Lenovo. From its bouquet of AiOs, ranging from the affordable to the luxury, the Edge 92Z stands out for being a workhorse that can take on any task in an average household. These are great entertainment devices too. 2013 was the year when convertibles came into their own. They twisted, turned and tore to present themselves as tablet or notebooks as the need arose. 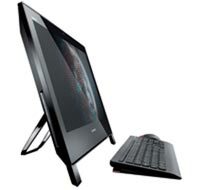 The Thinkpad Twist was the best of the lot in our view as it is also a powerful device that could replace business computers. 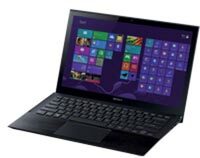 Other notable mentions are the Sony Vaio Duo II, Dell XPS 12 and the Acer Aspire R7. There were some stunning ultrabooks and notebooks this year, but this Vaio model takes the cake as far design and portability are concerned. Plus, its Intel Core i5 processor makes it good for most tasks you expect from a business or entertainment device. The Pro 13 pips the Acer Aspire S7 launched earlier in the year as it is Rs 10,000 cheaper. This was a tough one since there were some great cameras this year like the Panasonic Lumix G6, the Sony NEX 5R and the Fujifilm X-M1. But we cast our vote in favour of Olympus, which had also awed us with the OM-D EM-5 last year. In 2013, its E-PL5 is one of the most compact and versatile cameras you will ever use. For truly amazing pictures all you need is the 1 14-42mm M.Zuiko lens. This camera gives great low light pictures too. Point-and-shoots are a dying breed, thanks to the ubiquity of phone cameras. To stay ahead top brands are adding features such as extra zoom and connectivity. The HX300 comes with a telephoto 50X which makes a big difference. The 50X zoom, which works out to 1200 mm in lens terms, is as stable as anything of that range can be. This camera is good enough to take great shots of everything from your pet dog to craters on the moon. For a change, our camera of the year is not a DSLR. The fact that the DSC RX1 is a full frame camera but gives results as good as any DSLR shows how the compact segment has evolved in the past two years. We found that the RX1 was up to any task - portraits, landscapes, macro or low-light. The only issue here is the price - it costs a bit more than the best DSLRs in the market. The year saw the emergence of the first Windows 8 tablets. But almost all were underpowered devices. 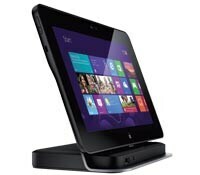 Still, the Latitude 10 stood out for its enterprise-gradebuild quality and security. The device has great battery life and an option to dock it with a keyboard. 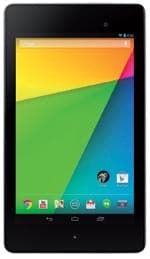 This is one Android tablet we felt is overpriced. But Sony has packed everything in it neatly. It does come with some of the best specifications, including a 10.1-inch display with 1920 x 1200 pixel resolution and Mobile BRAVIA engine. It also has a 1.5GHz quad-core processor with 2GB RAM. It is the world's slimmest tablet at 6.9 mm width, as well as water and dust resistant. Noise cancelling on the Bose QC20i is unparalleled, at least, in devices of this kind. Thanks to the total lack of external sounds, this inear headphone becomes a pleasure to listen with. You also have the option to allow specific sounds in case you don't want to be completely cut off from your surroundings. Portable wireless sound docks/speakers are the next big thing in sound. And the JBL Flip had us hooked. This compact cylindrical device can be used in both horizontal and vertical positions. JBL has added rubberised parts on both sides The 40mm drivers and built-in bass port offer superb sound - so powerful that it turns your surroundings into a personal theatre. 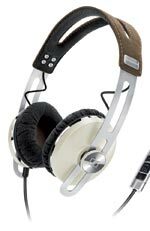 The Sennheiser Momentum was a great headphone, but large and expensive. So, with the company decided to launch the smaller on-ear model, it provides the best of both worlds-superb sound and a very compact body. But what seals the deal in its favour is, without doubt, the Alcantra fabric that make the ear cups a joy to wear for long hours. 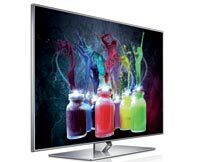 This TV from the Samsung stable deserves special mention because it made high-end smart TV features affordable. Motion control and voice commands are good additions, but they can't be the core idea behind any TV. This new model blends excellent picture quality with sharp gimmicky features. It also boasts a better 3D than before. The gaming industry's costliest product ever did not take long to become its best selling title too. With over $1 billion in its kitty from almost 30 million titles sold, the latest edition of the popular gaming franchise has been lapped up by gamers like no other game before. This open world action adventure from Rockstar will have something new for you every time you play it. The details of the game have received critical acclaim too. Genuine innovations have been few this year. LG wins the race with its phablet G2. 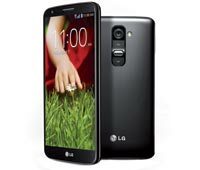 LG's smartphones are good, but they have not been able to create the buzz in India that some of their rivals have. With G2, LG has shifted the power and volume controls, usually on the side panel, to the back, because in its view this is the place where a user's index finger usually rests. The snap-on cover has a front window through which one can access the clock and the music player. Calls can also be accepted and rejected using the window, without opening the cover. This model also has a powerful 13MP rear camera with an optical image stabiliser that captures superb images. This camera app provides an ease-ofuse other apps of its kind do not. You can adjust the colour right on the screen even as you compose the frame. The zoom can be adjusted with the right hand. There is a feature that tells you where you are and give weather updates. Camera settings can also be opened on the screen. This is an example of how user interfaces of apps can be a USP too. The launch of the muchawaited BBM app was delayed, but makes it to the list of top free apps quite comfortably. 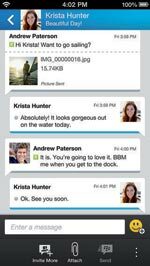 The BBM for iPhone has the same interface as on the BB 10 platform. Those with existing accounts are asked if they want their BBM shifted to this device. Others have to create a new account. The app allows only messages, voice notes and images. 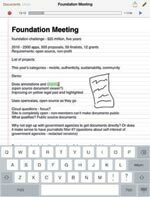 Coast by Opera for the iPad takes tabbed browsing to a new level, letting users pin their favourite pages to multiple swipe-through screens. When you open and shut a page it starts showing in a tab. You can also pin up the page as a permanent tile. You go back to the previous page by swiping from left to right. This is the third instalment of the popular game. It offers stunning visuals and fairly realistic simulation. Race around in all the new cars, buy cars and compete in events. "Driver Level" awards players a certain number of experience points after every race. This game is free to download with in-app purchases.